Bhopal, April 12: Pensioners in Madhya Pradesh will now get the hiked Dearness Allowance (DA) from May 2019. According to reports, this move by the state government is likely to benefit over 4 lakh pensioners of the state from the next month, as per the seventh pay commission. Following Uttar Pradesh and Chhattisgarh, the state government of Madhya Pradesh had written to the Election Commission of India (ECI) to issue orders of DA to benefit pensioners. Later, the Finance Department approved the request of the state government and issued orders for the DA to Madhya Pradesh. 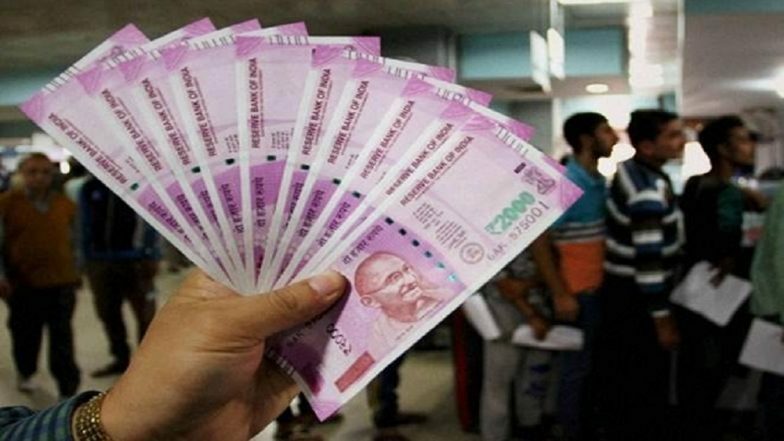 7th Pay Commission Latest News: 6 Per Cent Dearness Allowance For Employees, Pensioners of This State. According to reports, the DA will be included in the pension from May 2019. Meanwhile, a decision on the arrears from January 2018 to April 2019 will be taken after Lok Sabha Elections 2019 conclude in May. The voting for the polls will be held in seven phases from April 11 to May 19. The counting of votes will be held on May 23. The hike in DA for pensioners comes after the Central government employees received their share of the bonanza. 7th Pay Commission Diwali Bonanza: Odisha Hikes DA, DR by 2% for Government Employees, Teachers, Pensioners. Tarun Bhanot, Finance minister of Madhya Pradesh had written to the Election Commission demanding a hike for the dearness allowance, after which the poll panel granted it. After the approval, the pensioners will now have a DA of 7% from January 2018 to June 2018. From July 2018 to April 2019, the DA will be 9 percent. The dearness relief (DR) was promised to pensioners with effect from January 1, 2019. The Dearness Allowance (DA) is paid to Central Government employees to adjust the cost of living and to protect their Basic Pay from erosion in the real value on account of inflation.